Verandah Press was established in 1989 but turned recently to the exciting world of e-book publishing. Verandah Press are interested in a wide range of topics but mostly work with authors who have a focus on Australian politics and society in both the non-fiction and fiction genres. Verandah Press only publishes electronically. As a start up publisher in the digital realm, they did not want to a spend up big to provide quality Australian e-books. 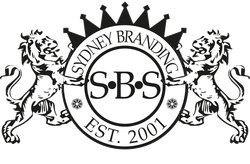 Sydney Branding Services designed an easy-to-use Content Management Website, that enabled Verandah Press to edit the website, take payments, and provide download links for it's publications. Believing that e-readers will become more widespread Verandah Press priced their e-books for the price of a cup of coffee, making their publications truly accessible. Because Verandah Press publish titles that are of a specialist interest they rely on their extensive database to keep in touch with their readers via a branded newsletter which was designed and implemented by Sydney Branding Services.